Hanna--"Handmaid's Tale" meets "Jack Ryan"
On the surface Hanna (Amazon original series) might appear to be another conventional espionage thriller/dystopia about discovery of identity and revenge against those who hid the truth. However, this reinterpretation of the 2011 action movie starring Saoirse Ronan, is also a dark sci-fi treatise on fascism and violence in society. In this new release we follow an isolated teen (newcomer Esme Creed-Miles) with almost super-human powers. She learns both survival and assassin skills from her ex-government operative father (Joel Kinnamon), both of them hiding deep in a forest in Poland, after escaping Romania. Hiding from a CIA agent (Mireille Enos) who is determined to kill them, the father and daughter’s cat-and-mouse game leads to evermore sinister conspiracies. Those expecting consistently fast-paced action may be disappointed. The soundtrack, languorous chase and car scenes are for Bourne Identity and Jack Ryan fans. The narrative has plot holes, often involving how someone was located and why a change of venue occurs as we move from Romania, to Poland, Morocco, Amsterdam, Germany, and London. The casting of Mireille Enos and Joel Kinnamon (both starring in “The Killing” TV series 2011-2014) was a perfect match for supporting Esme Creed-Miles in her coming-of-age story. However, the nine episodes could have been edited to seven or eight for a tighter, more cohesive drama. 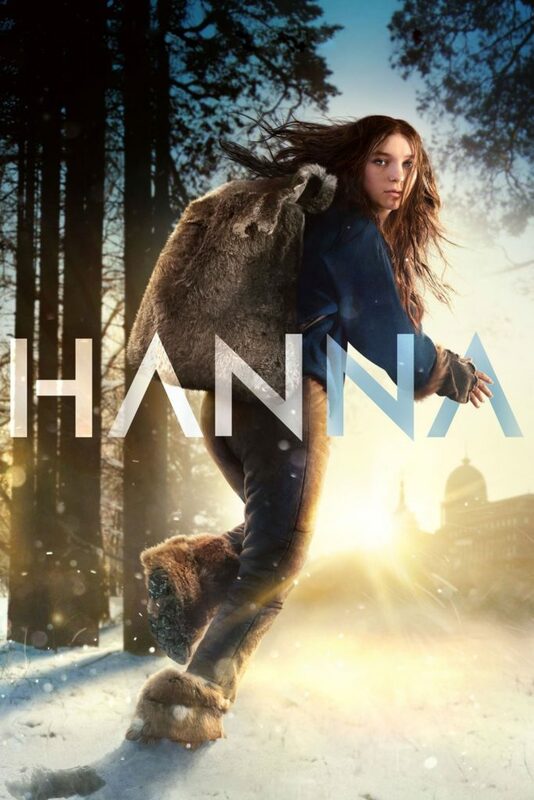 Nonetheless, I was hooked by this young superwoman and found Hanna enjoyable and intriguing, especially the dynamic between father and daughter. Do not compare this mini-series with the film, because so much of the story has been revised. This is one of the better Amazon series we’ve been offered in the past few years. Highly recommend! Note: Available on Amazon Prime. I’ll get around to watching this. It’s advertised on SYFY channel on cable. Looks good. Thanks.